Wow it is the latter part of August already, where did the summer go?! 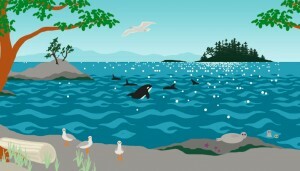 I have been busy in the studio working overtime to create not one but two murals for the new BC Children’s Hospital. That’s right- you heard correctly- the BCCH Foundation loved both of my design concepts and it is official that I will be creating a second mural for the Radiology Room on the 1st floor! This goes beyond my wildest dreams- each design holds a special place in my heart and I am thrilled to be able to bring them both to life. Despite devoting an abundance of time to the studio my family and I have managed to escape onto the beautiful beaches and calm waters surrounding Bowen Island where I constantly soak in the inspirational landscape. Venturing forth in search of beauty is truly one of my favorite parts of being an artist. There are special moments to be seen everywhere- the way the sunlight glints off the water, the way the waves lap the shore, the moment an eagle soars overhead. Often these are far too fleeting for a camera to capture and it is up to me to imprint it to memory- a skill I have been working on for years but am only recently beginning to achieve. Back in the studio these moments translate into movements as I work my fingers over the canvas, or in the case of these murals, digital drawing pad, as I have decided to create them using a Wacom Cintiq pen and pad. While my art has predominantly been painted using acrylic on canvas I have a lot of experience using Adobe Illustrator and Photoshop in my work as an Archaeological Illustrator. 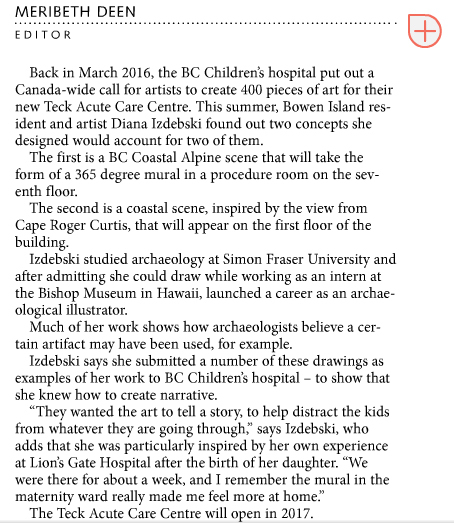 The murals for the BCCH Teck Acute Center will be created by printing digitally scanned images onto wall panels and then installing them once the room is complete. The first step in setting up the files was to create concept designs to fit the wall space and fall around elements in the room, such as windows, doors, cupboards, wall switches and even moveable elements such as tables and chairs. 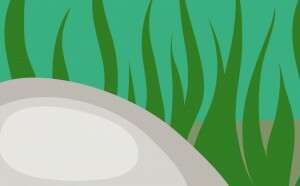 I drafted the design down to the mm using overlayed architectural elevations in Photoshop. 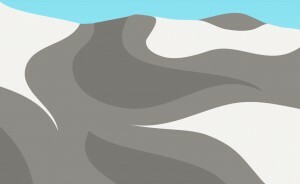 Because the files need to be delivered in digital format and the scale needs to be extremely large I opted to use Adobe Illustrator to create vector files, which can be scaled dramatically and still yield a high resolution. This also gives me the freedom to make edits to the image right up until final submission this October. The BC Alpine scene is well on its way: the background stage is almost complete and I hope to begin adding the animals next week. Starting in September I will commence work on the BC Coastal scene that will wrap the slightly more complex Radiology Room. This room involves some double sided and angled walls so I have edited the initial concept design to fit spatially and follow the 1st floor Wayfinding Theme BC Harbour/Underwater. So there will be less forest and more ocean, islands and coastline!). So far every step has been tons of fun- from inspiration hunting on the shores of Bowen to online image searching for animals, insects and plants to bring life to the scene. Creating the files digitally is both physically and mentally challenging but the experience is as rewarding as I have dreamed. 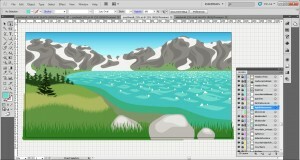 I will send more updates once the Alpine scene is complete and the Coastal scene is under construction. 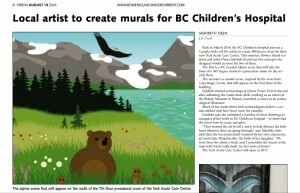 In the mean time check out this article featured in the Bowen Island Undercurrent!